Back to the Roots, Oakland-based, organic food & gardening company, announced today its partnership with celebrity Mom & restauranteur, Ayesha Curry to create an indoor grow kit equipped with Curry’s exclusive home recipes just in time for the holidays. Ayesha Curry’s Kitchen Herb Garden is available at Lowe’s Home Improvement stores nationwide. Back to the Roots is reinventing the way people connect with food. The new Ayesha Curry Kitchen Herb Garden is set in classic mason jars ready to compliment any countertop and includes complete care instructions along with Ayesha’s secret home recipes – it’s the ultimate holiday gift for anyone who wants to unplug, dig in, and get their hands dirty! With everything included, families can start growing fresh mint & basil in no time – just add water & place on the windowsill. All Back to the Roots gardening kits are part of its Grow One, Give One program. Just share a photo of a growing Back to the Roots kit on Instagram or Facebook with #GrowOneGiveOne, and the company will donate a kit & STEM curriculum to an elementary school classroom of the customer’s choosing. 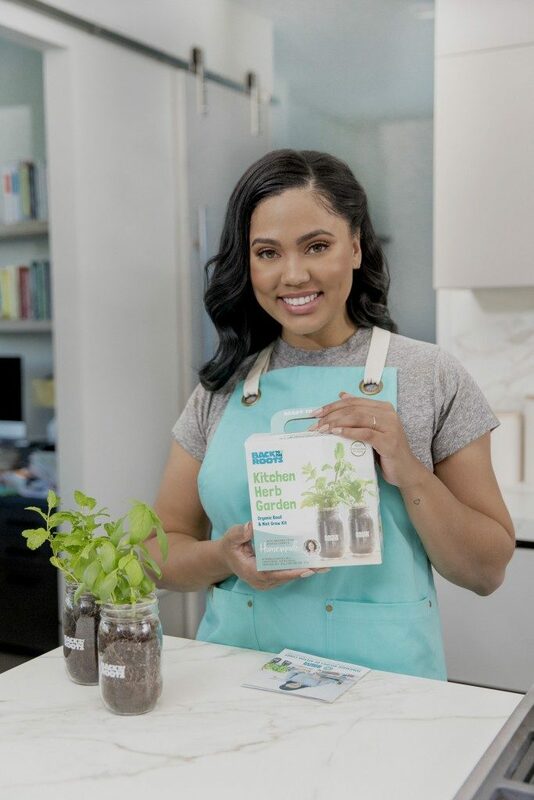 Ayesha Curry’s Kitchen Herb Garden ($19.99) is available at Lowe’s Home Improvement stores nationwide, online at Lowes.com, and at BacktotheRoots.com. For more information on Back to the Roots, please visit www.backtotheroots.com and follow its journey to help families across America experience the magic of growing food and making gardening a part of every school curriculum.